The end of the year is upon us. 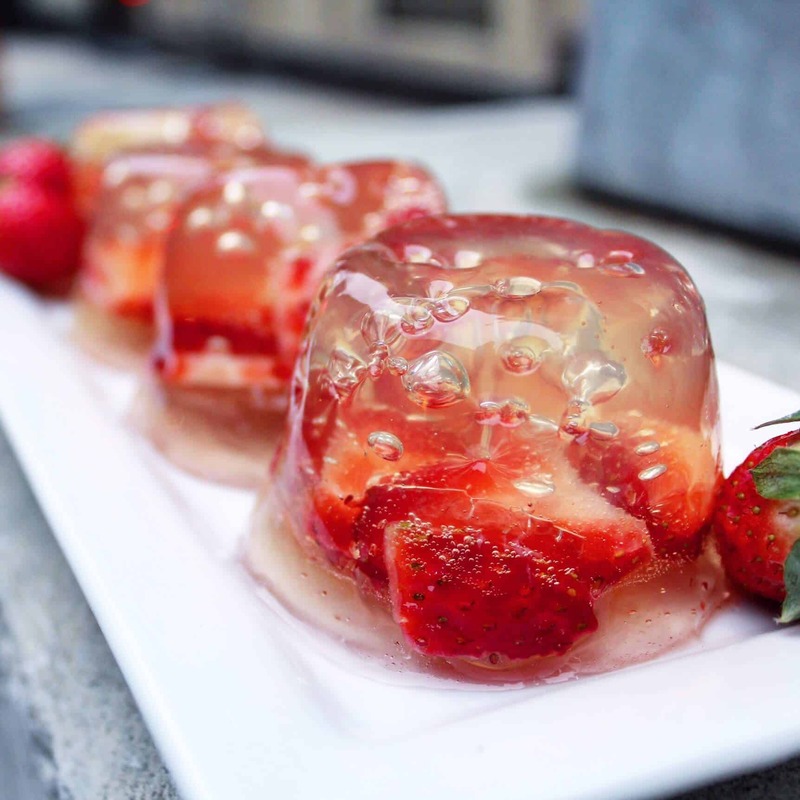 It’s a time for sparkles, glitter, and champagne…jello shots 😛 This recipe is incredibly easy (only about 15 minutes of active time), and will definitely be a crowd-pleaser. Just look at those bubbles! With only six ingredients (it’s really five, water doesn’t count, right?? ), they’re ready in a flash!! And don’t worry – unflavored gelatin can be found at almost every grocery store, in the baking aisle. In a saucepan, sprinkle the gelatin evenly over the cold water, and allow the gelatin to absorb the water for 2 minutes. Bring the water to a boil over high heat, and stir until the gelatin is fully dissolved. Remove from the heat. Transfer the gelatin mixture to a bowl, add the sugar, and stir until dissolved. Stir in the champagne and ginger ale. Refrigerate until thickened (about a 1.5 hours). 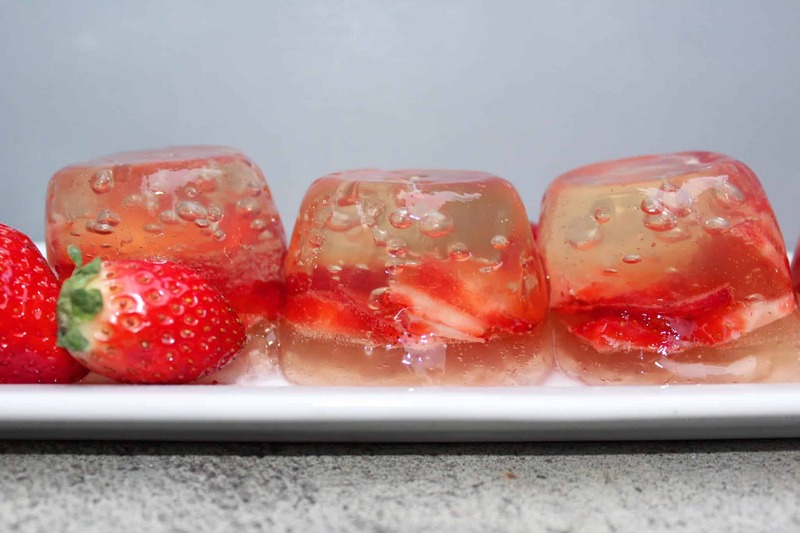 Fold in the strawberries gently, and spoon into 7 to 10 individual molds or cups. I used clear disposable plastic cups. Refrigerate until firm (1.5 additional hours). Unmold the shots by dipping the cups in warm water for about 15 seconds, then use an offset spatula or knife to ease the jello out of the cup. I served them upside-down on a platter with the extra strawberries I had.